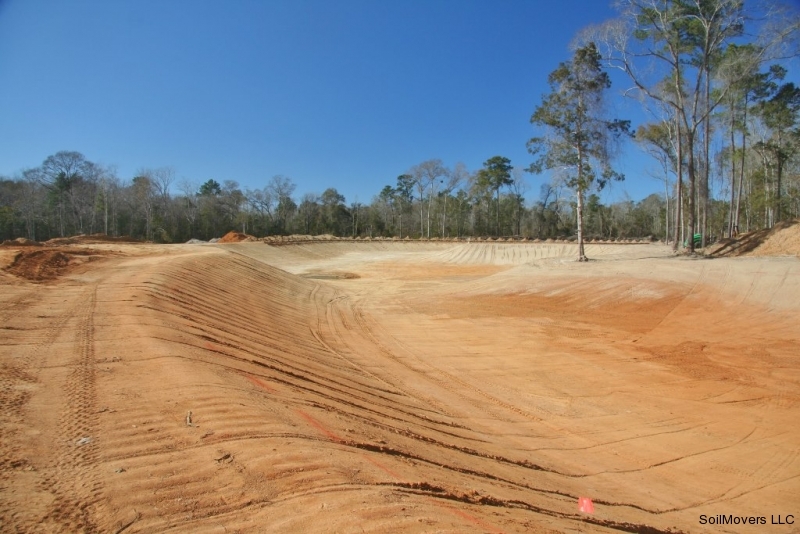 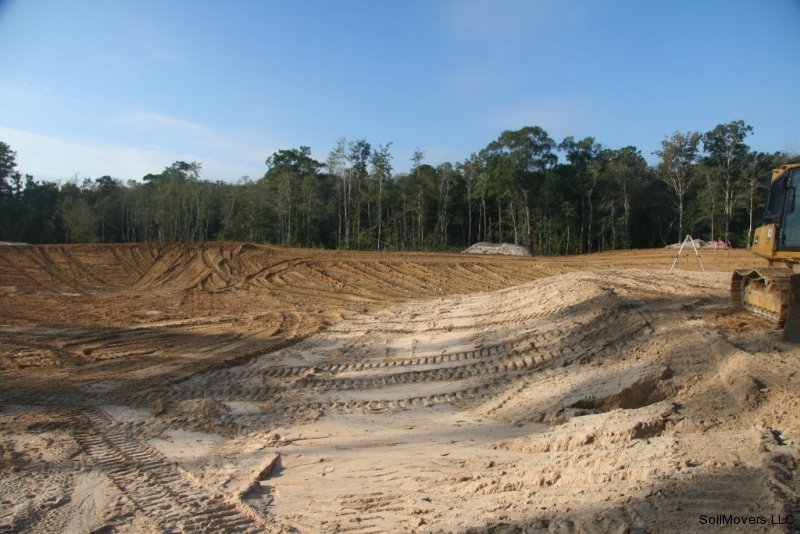 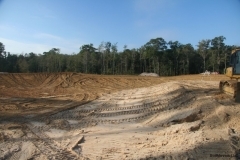 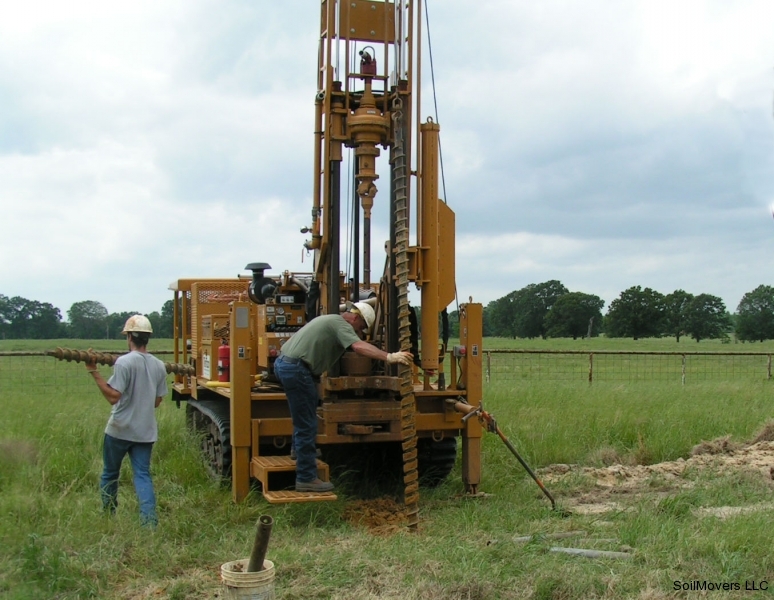 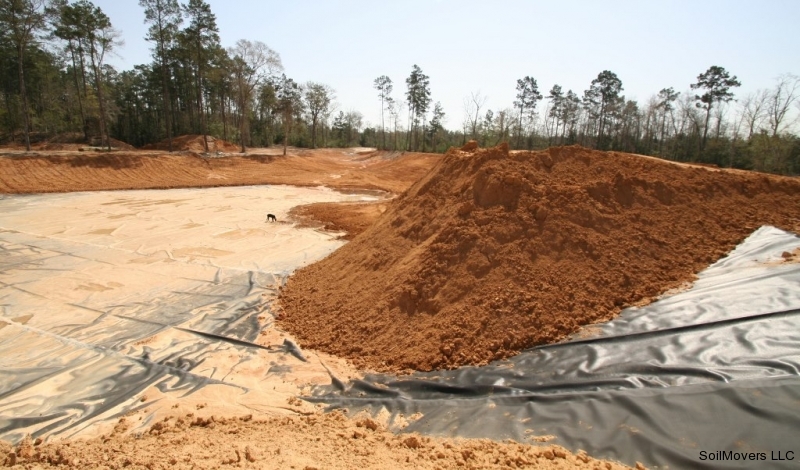 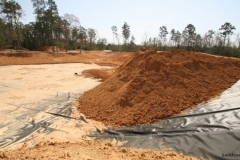 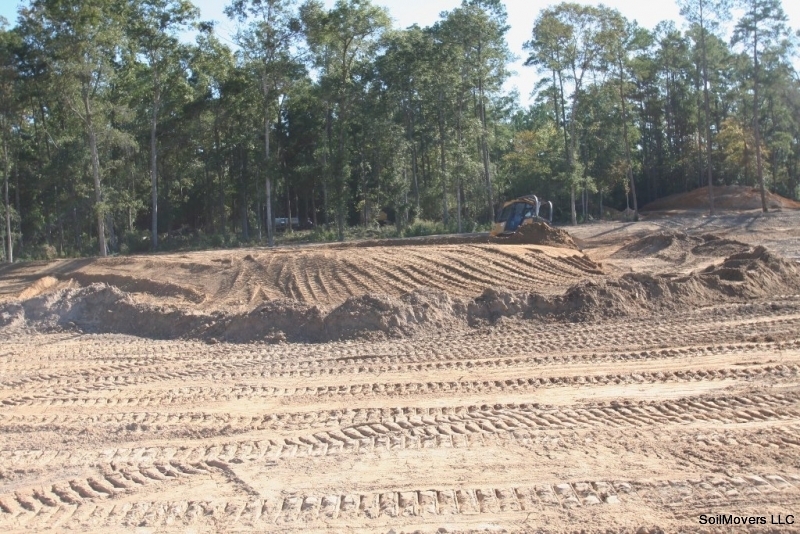 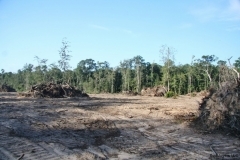 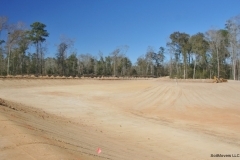 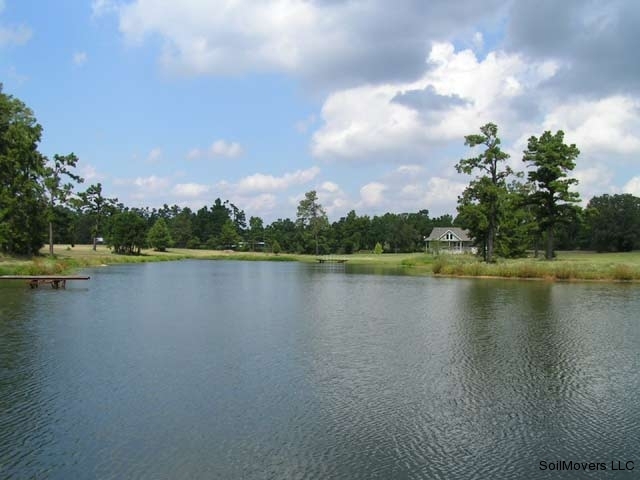 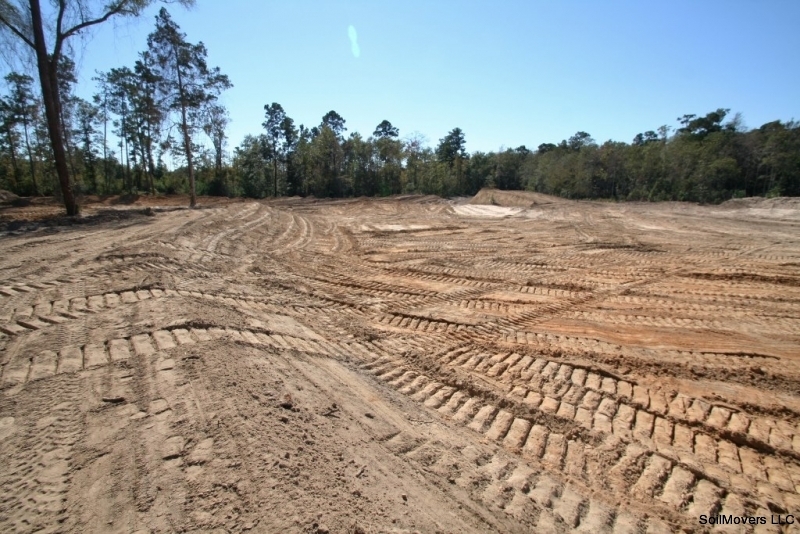 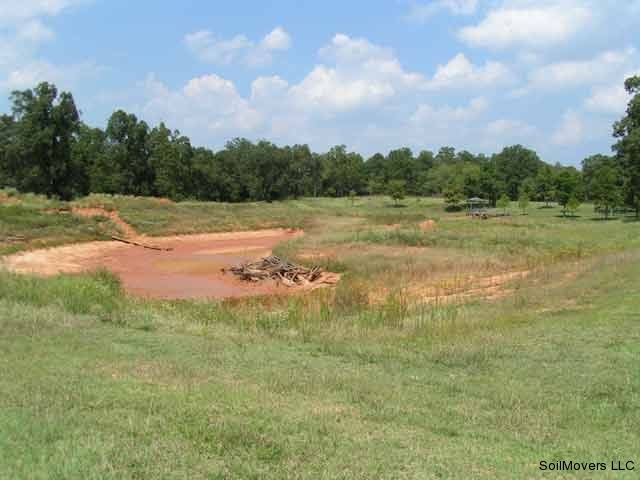 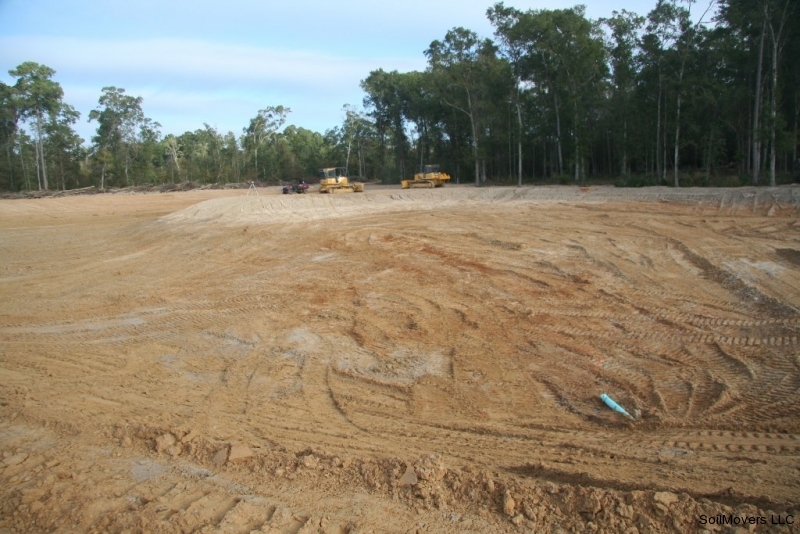 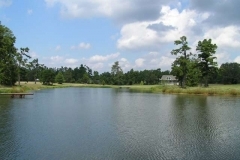 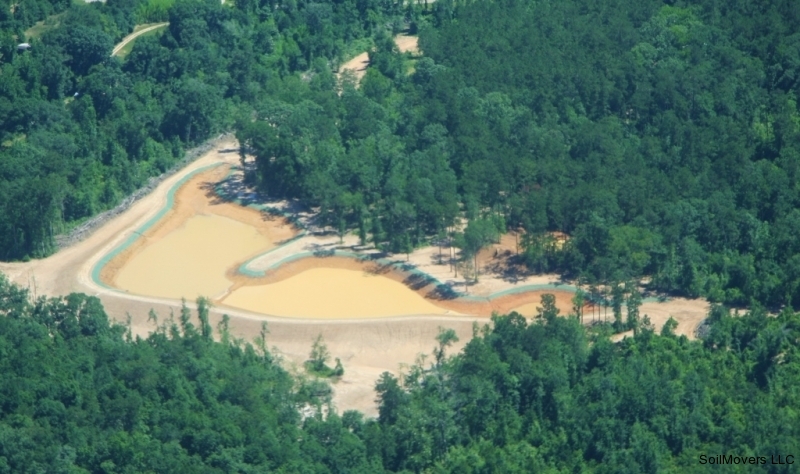 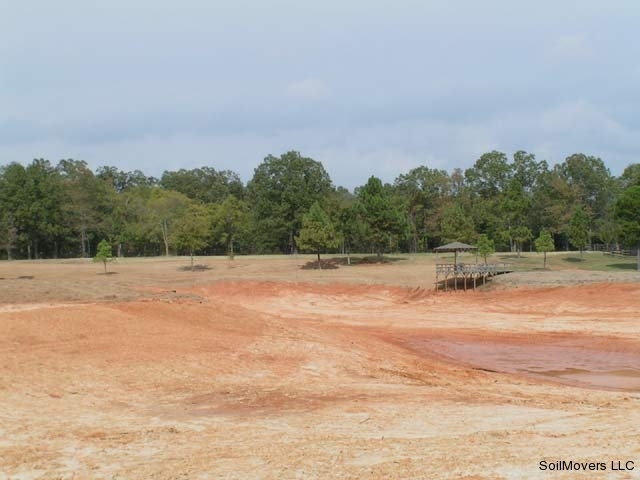 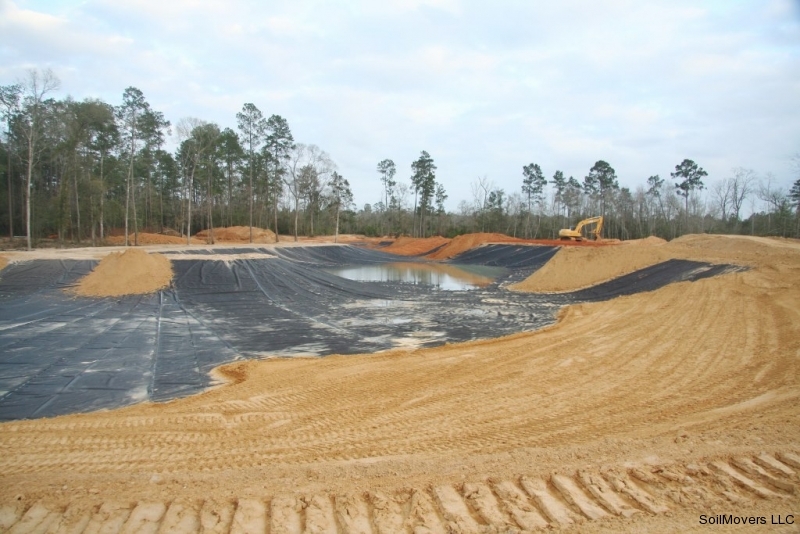 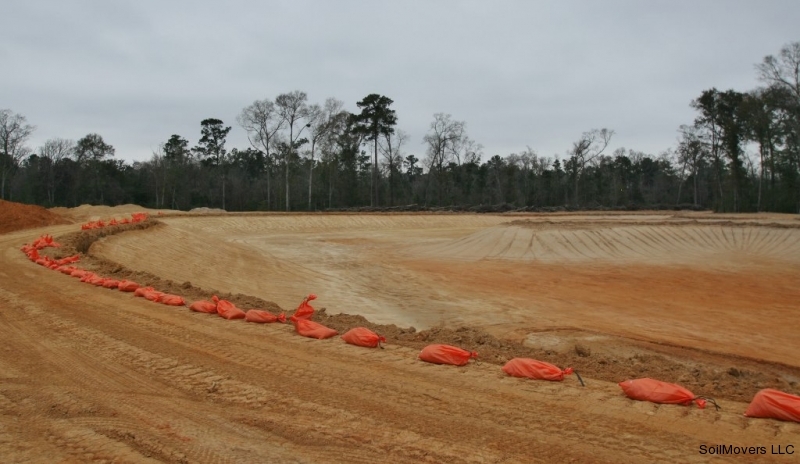 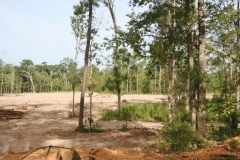 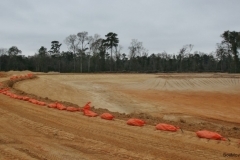 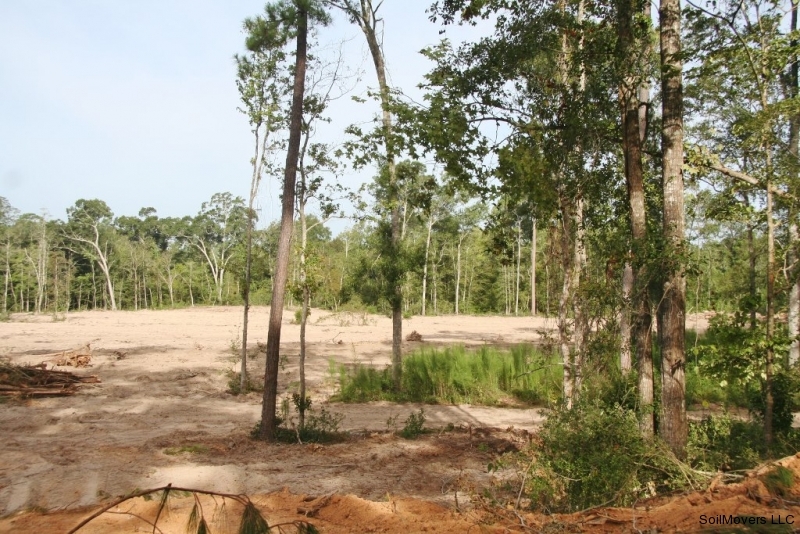 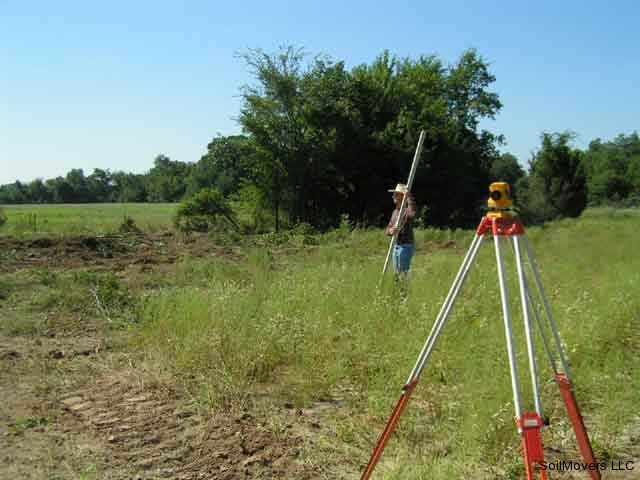 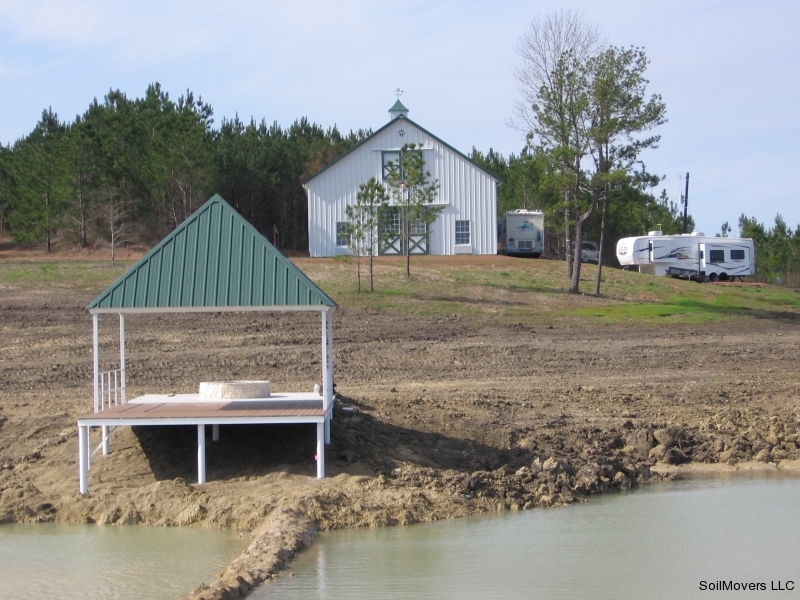 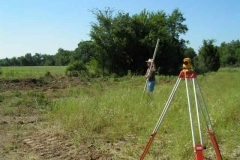 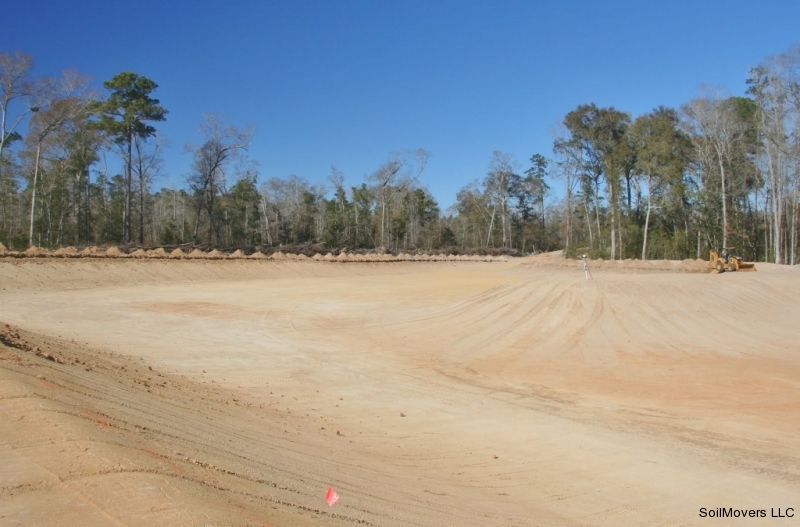 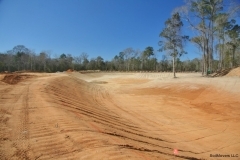 67 acre tract in the Conroe area that will be developed as an arboretum with a 3 acre liner lake as the centerpiece. 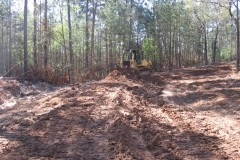 Clearing begins at the new location. 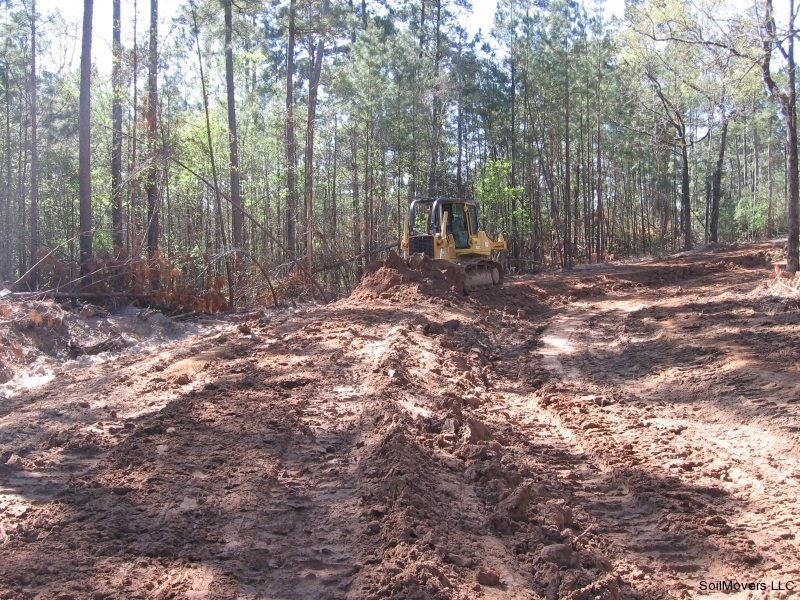 12 acres were cut for timber and the stumps and brush removed. 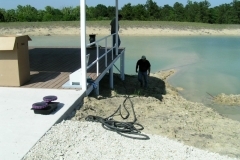 Wind jetty. 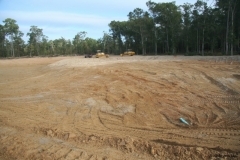 The jetty will be planted with trees to channel the prevailing breeze to the future residence to cool it. 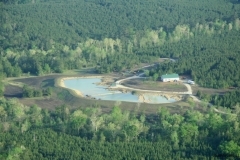 Dam building. 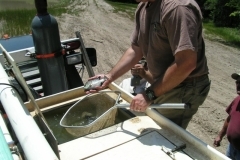 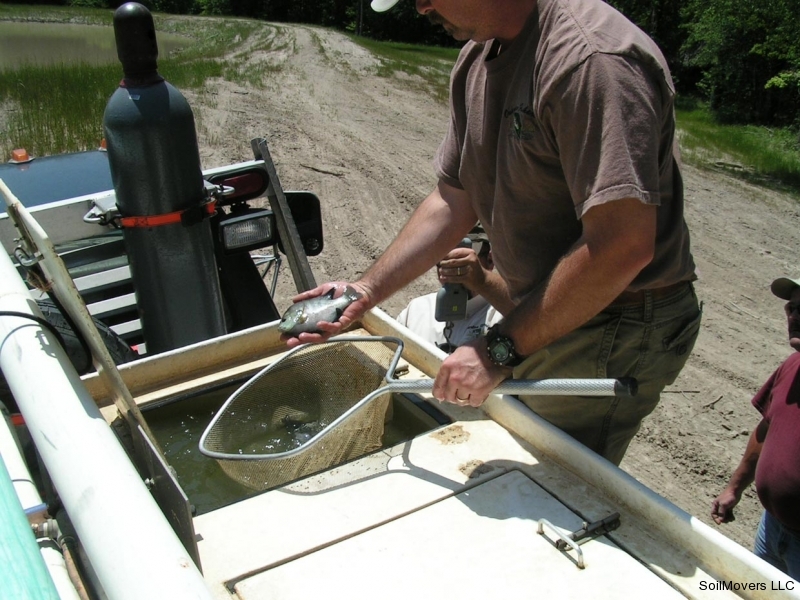 Special care is taken to insure the dam core will be strong. 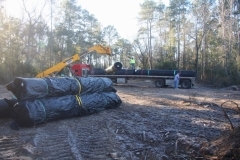 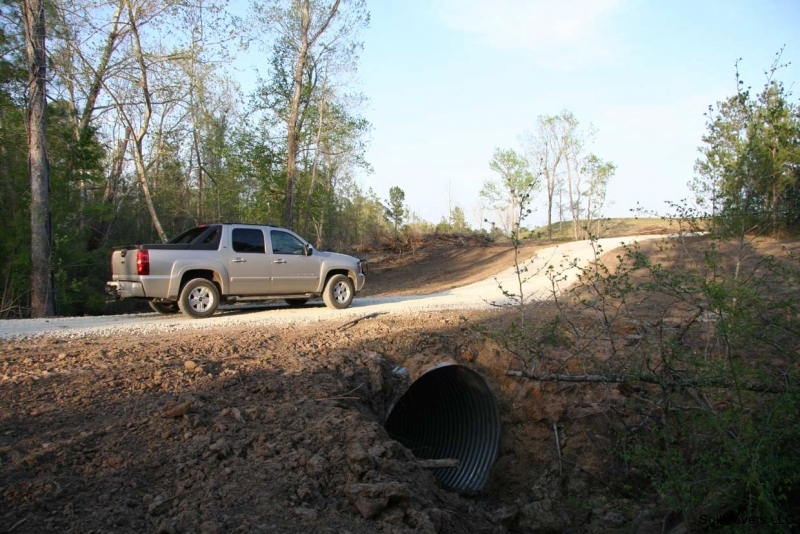 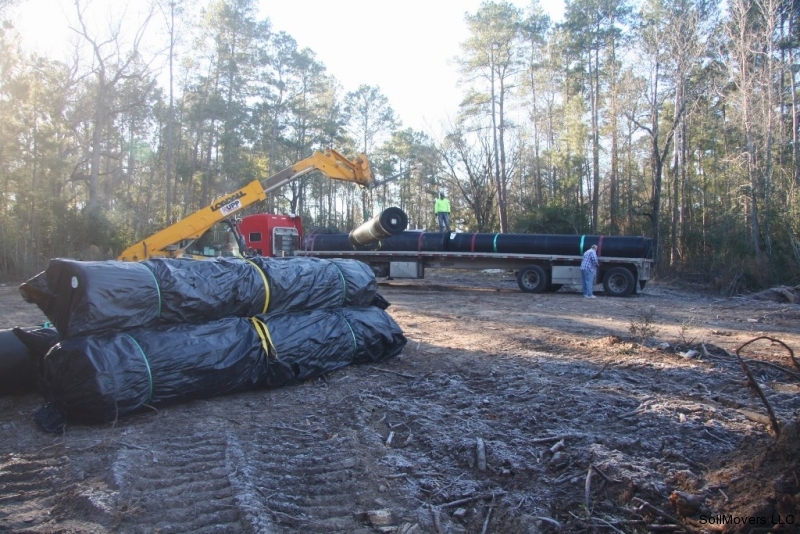 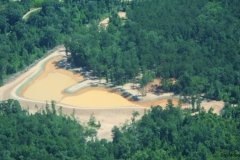 Lake liner material delivered to lake construction site. 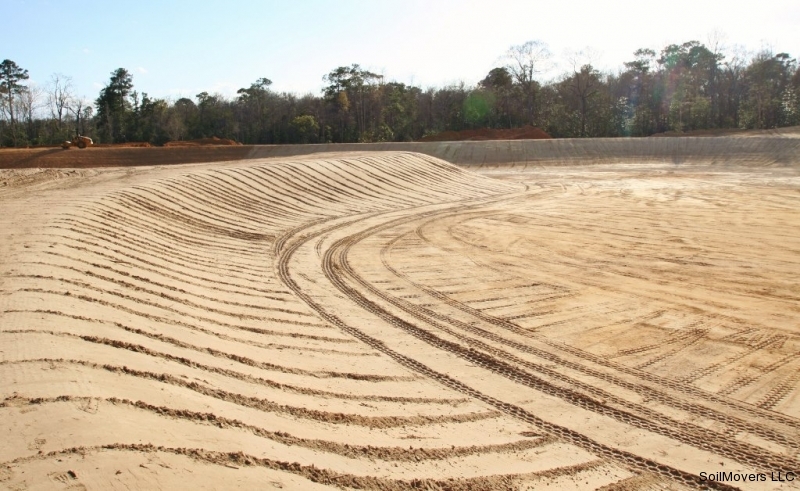 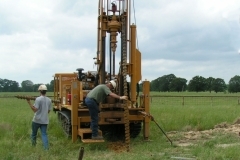 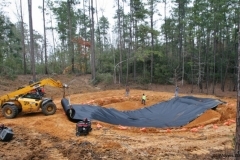 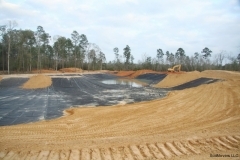 The lake bed is rolled as final preparation for plastic lake liner install. 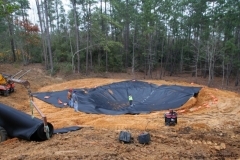 A trench is dug to permanently anchor the plastic liner to the shoreline. 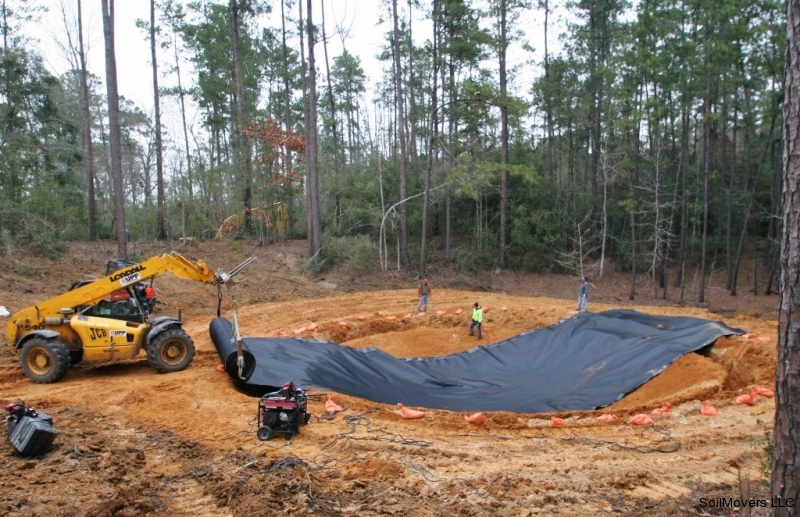 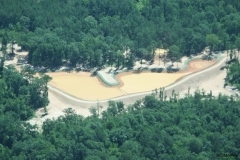 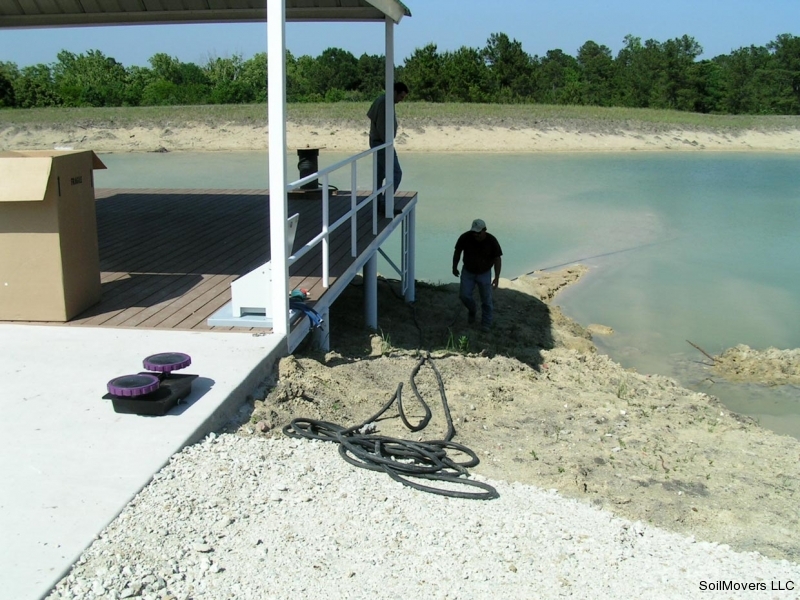 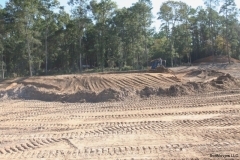 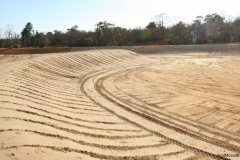 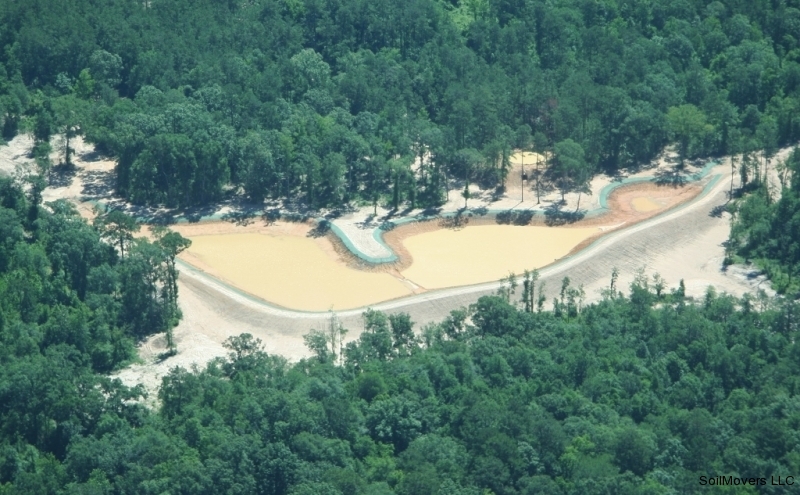 Sandbags placed around perimeter to anchor the lake liner during installation. 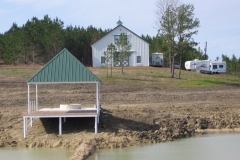 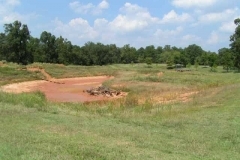 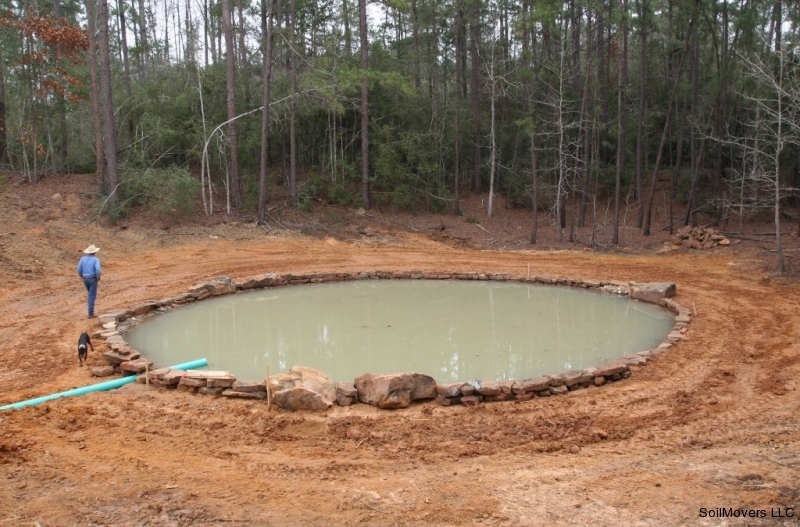 Near the future house site, an existing small pond on the property never held water. 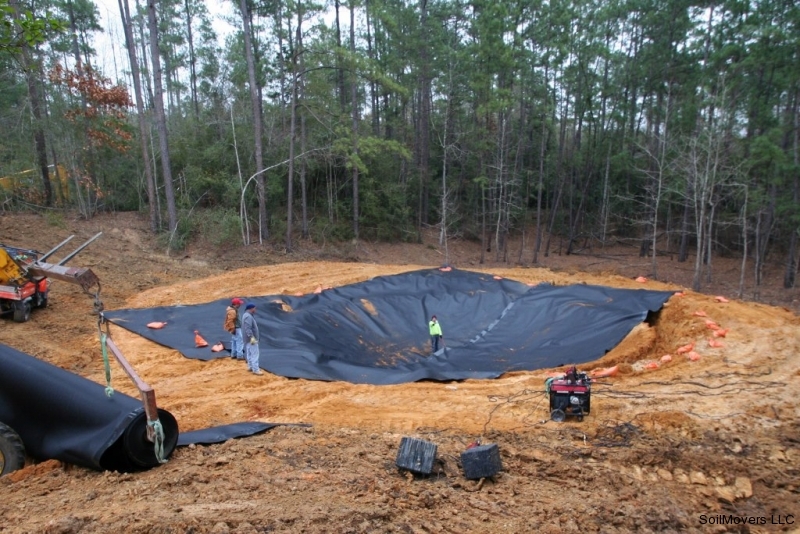 The clients decided to have it re-done with a plastic liner. 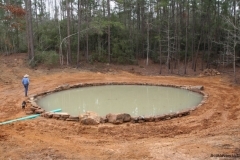 The clients have named this special water feature 'Tranquility Pond.' 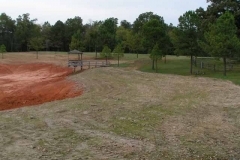 They plan to have it professionally landscaped with plantings and benches. 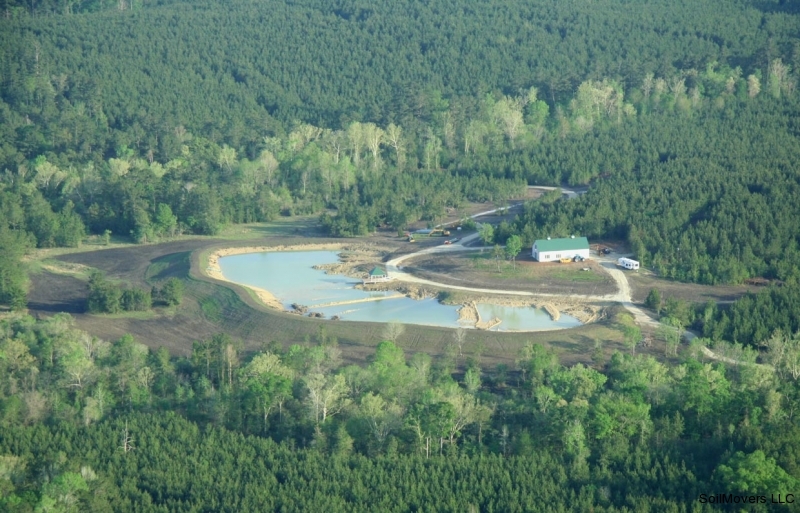 Tranquility Pond fills with water. 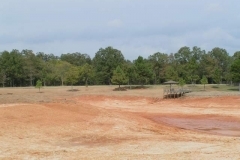 Lake begins to fill from summer rains. 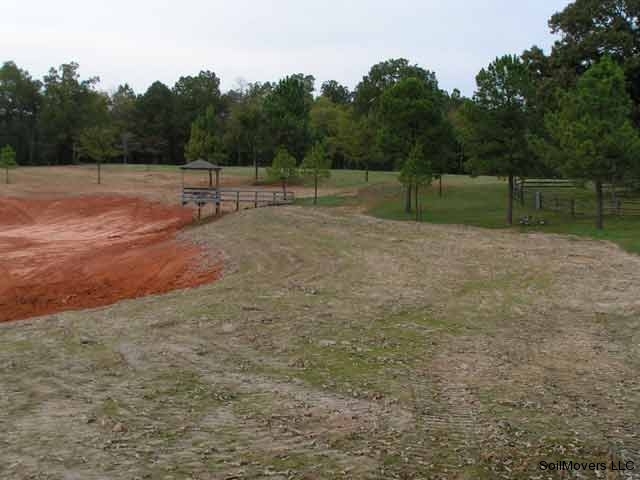 Erosion mats in place along lake edge.